TechPats has laboratories in our Philadelphia and Ottawa offices as well as field-testing equipment. Our capabilities for testing and laboratory support are broad and mirror our technological expertise and focus on creating solutions for investigating ideas in Wireless, Semiconductor Systems and Software, and Telecommunications. TechPats’ wireless testing capabilities allows our team to investigate wireless communications in a lab setting, as well as in the field—on a variety of signals and standards including 3G/4G/LTE, Wi-Fi (IEEE 802.11x), Bluetooth, and others. We have unique test capabilities which, among other test capabilities, can be used to passively monitor uplink and downlink communications between a mobile device and a cell tower. We have been conducting tests in both the lab and in live networks for a number of years and have gained extensive knowledge on what features are being implemented in real-world commercial installations/networks. For live network testing, we have unique capabilities that are un-paralleled in the industry. In the lab we are able to capture (“sniff”) traffic as well as perform emulation for a number of base stations, mobile devices, and other equipment. For each of the lab and live network testing environments, we have several available solutions thereby allowing us to tackle a broad scope of projects and select the most optimal solution for each project. TechPats also has hardware and software reverse engineering capabilities that can be useful in providing means for uncovering Evidence of Useband allow us to provide full-service capabilities for EoU in wireless technologies. TechPats is able to support Semiconductor Circuit Analysis, Process Analysis, Packaging Analysis, and more. In any case, TechPats’ testing is a custom-tailored investigation. Based on proper understanding of claim elements and limitations of a patent in question, TechPats can define necessary areas to perform the requisite specific analysis and/or extraction. Supporting circuit analysis requires extracting necessary circuit elements from a target device. We cover a broad range of product types and technologies including advanced processors, MCUs, PMIC, RF transceivers, memory device, and others. Supporting process analysis requires various imaging including SEM, TEM, X-ray and materials analysis (e.g., EDX, SCM, SIMS, etc.) of a target device. We can support a broad range of product types and technologies including advanced processors, MCUs, PMIC, RF transceivers and memory devices from different process nodes. TechPats can also support packaging analysis in a broad range of product types including processors, MCUs, PMIC, RF transceivers and memory devices using various types of packaging techniques. Understanding of how hardware and firmware operate to perform desired functions or tasks is an important enabler to unlock value of intellectual properties in systems—including embedded systems and software. Systems or devices using processors, MCUs, and SoCs typically operate in conjunction with some form or software or firmware. Partitioning or distributing system functions across various hardware blocks and firmware and software is a general practice. 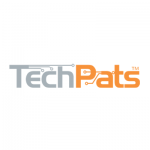 Identification, extraction, and analysis of firmware and software modules from a device are important capabilities that TechPats can provide. TechPats has a variety of capabilities for capturing and documenting television screens and user interfaces in the lab, the field, and even remotely. With regard to cable and satellite set-top boxes and digital video recorders, our engineers and analysts can use their years of industry and experience to help them teardown devices and test certain hardware features. In many cases of analyzing streaming multimedia and video, including IPTV and over-the-top (OTT) programming, TechPats has been able to capture network communications and monitor incoming and outgoing traffic.